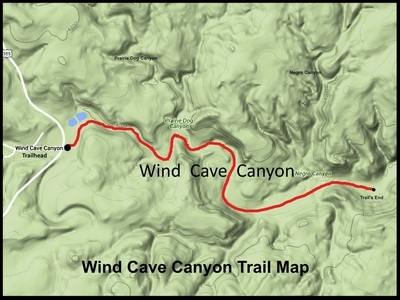 Wind Cave Canyon sees many visitors every year. This is not because it rivals Spearfish Canyon for grandeur or size. 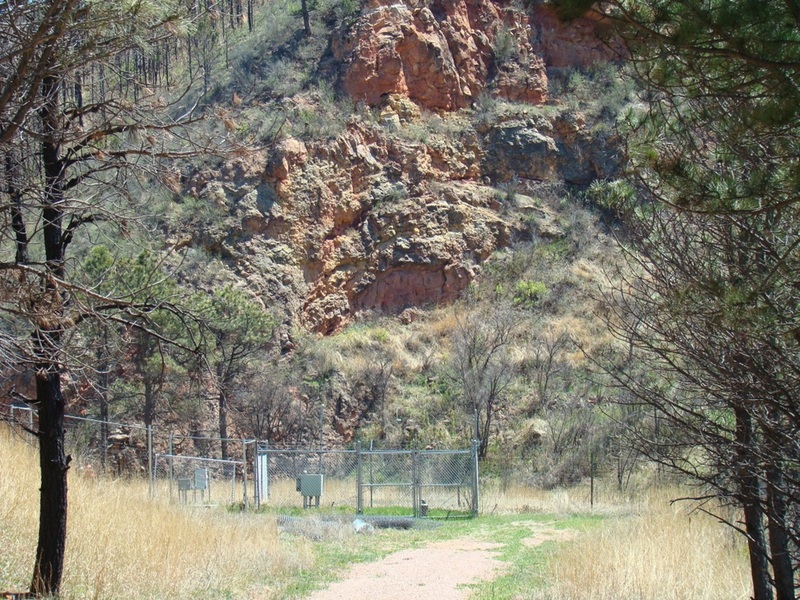 Rather, it is the location of the sixth-longest cave system in the world. 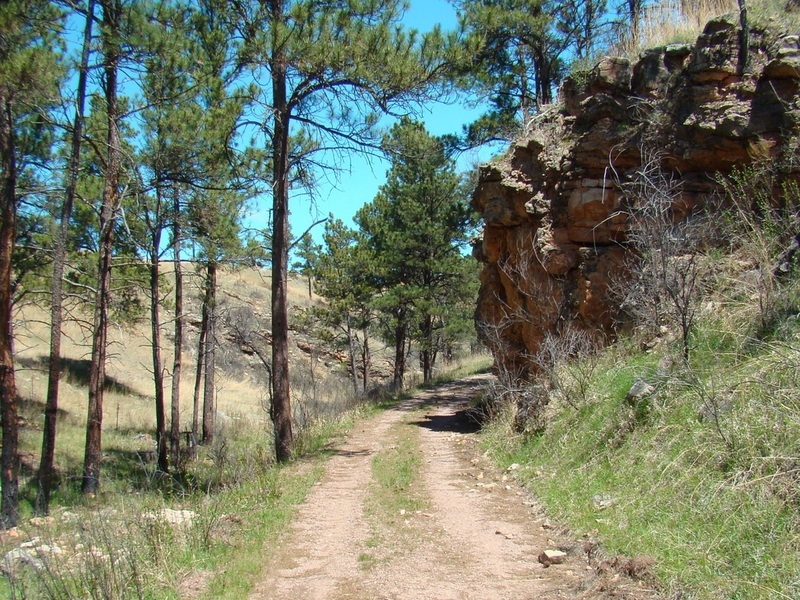 The Wind Cave Canyon Trail is less than two miles downstream from Wind Cave, while the Prairie Vista Trail is right next to the cave. 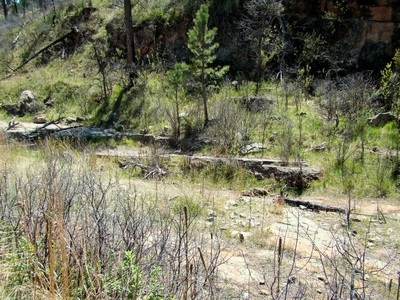 Because the canyon drops about 100 feet per mile, there is no steady stream flow in the canyon. A trip through the canyon will show that flash floods can be a serious consideration though. Some bends in the canyon have springs, which are usually popular places for bison, deer and other animals to water. 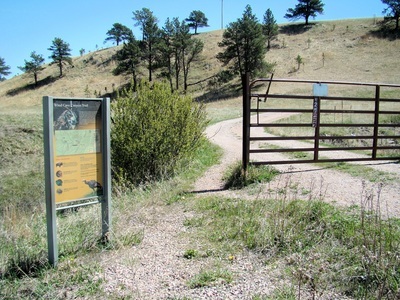 The national park posts warnings about the rattlesnake population, as well as the dangers of bison. 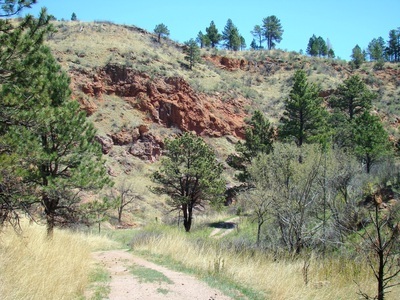 Hikers through the canyon will often see wildlife in various forms, and birds enjoy the abundance of cover afforded by the rocky walls and the trees in and around the canyon. Wind Cave Canyon is normally accessed from Highway 385, which runs through the western part of Wind Cave National Park. 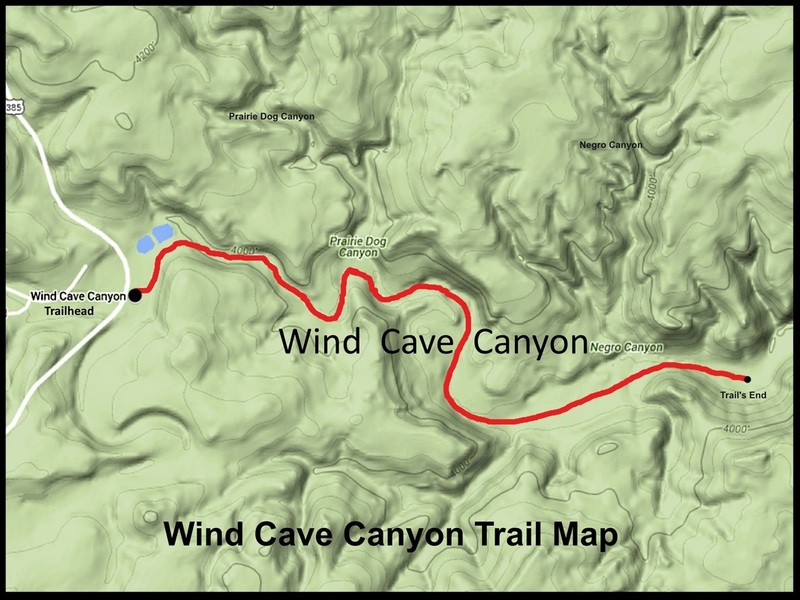 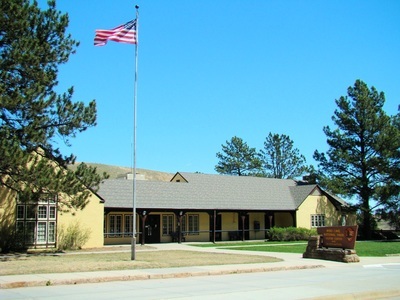 The Wind Cave Canyon Trailhead is approximately 10 miles north of Hot Springs, while the turnoff for the Wind Cave National Park Visitors Center is about 1 mile southwest of the Wind Cave Canyon Trailhead, or about 9 miles north of Hot Springs. 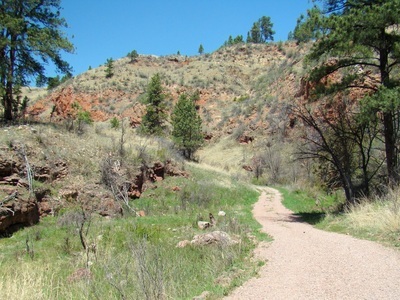 The Wind Cave Canyon Trail is 1.8 miles one-way to the former eastern boundary of the national park. This is the most scenic and most popular hiking route in the canyon. 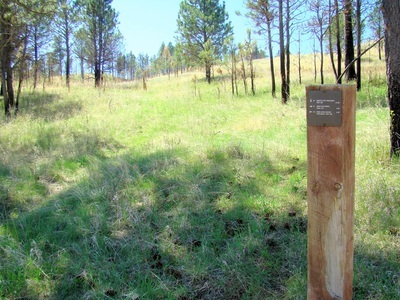 Beyond the fence at the end of the trail, is the newest addition to the national park, the old Sanson Ranch. 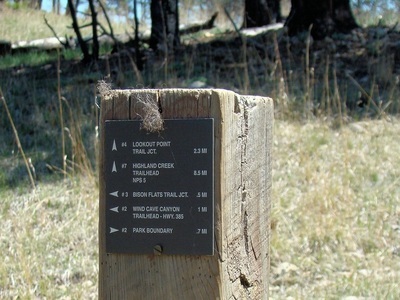 Due to transitional legalities, no general hiking is allowed there yet. However, there are summer hikes led by Wind Cave Park employees onto the old Sanson Ranch. 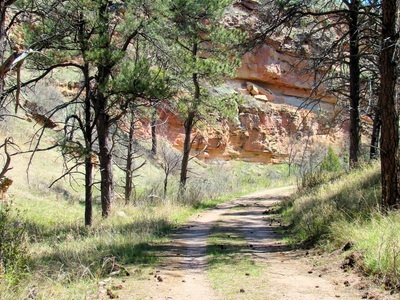 For more information about those hikes, call (605) 745-1134. 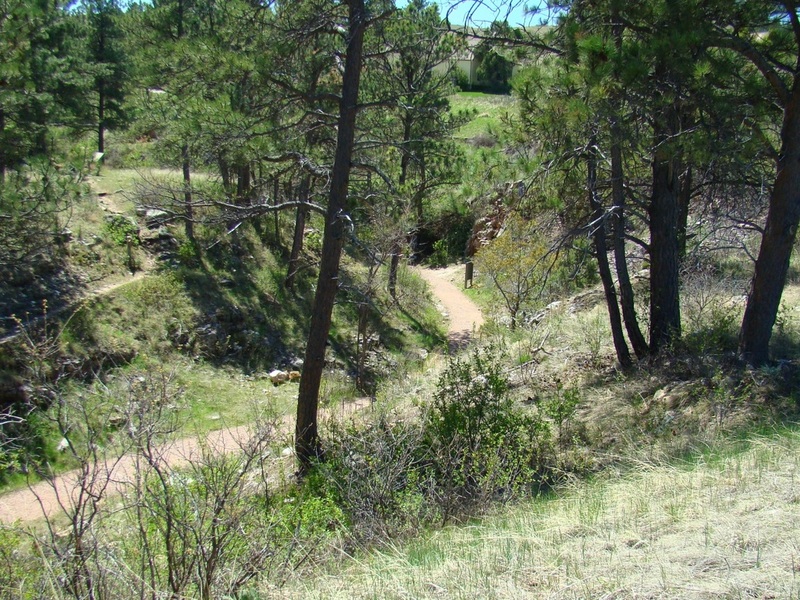 The Prairie Vista Trail is a 1-mile loop trail partly on the canyon floor and partly over adjacent prairie that passes through the picnic area just to the north of the Visitors Center. Caution: Hikers need to be aware of the bison dangers in the park and especially in the canyon. 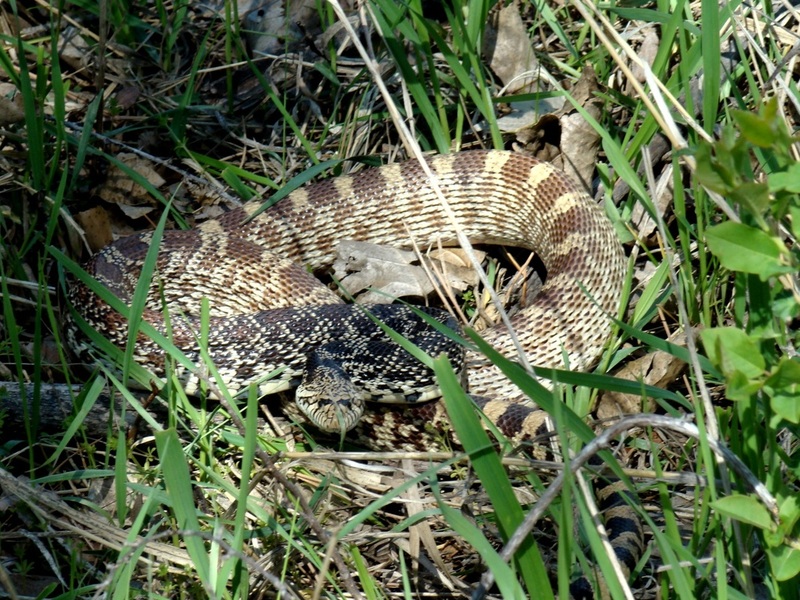 It is important to keep a safe distance from these unpredictable animals. Even though they can weigh up to a ton, they can move much faster than humans. 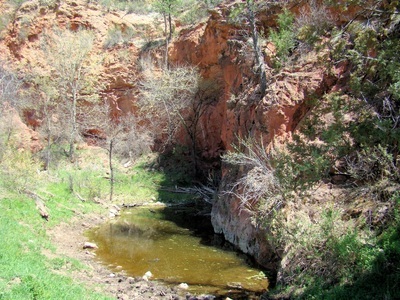 There is often little shelter in the bottom of the canyon. May through August is the period that poses the greatest risks because that is bison mating season. 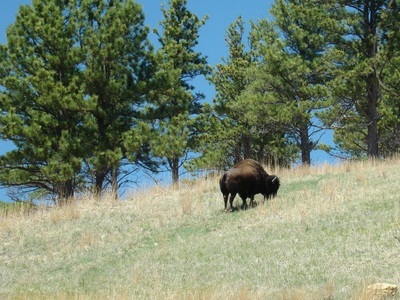 Bison with calves are also very aggressive. 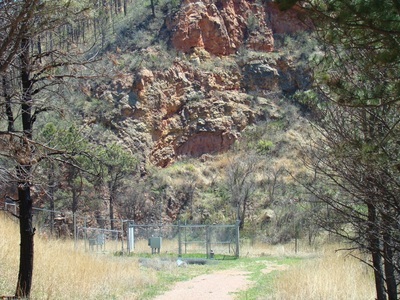 For your own safety, please take your photos with a telephoto lens. Trail junction sign that also serves as a buffalo "scratch post"